Went to Tophill Low NR with RL on Monday morning. Started checking the trees by the houses for the Tawny Owl chicks seen over the weekend. Had an adult in flight and the Blackbirds could be heard mobbing but no sign of the chick although one was still present earlier. Did D reservoir from car park hide. As expected at this time of year not much to look through with only a few ducks and gulls to check. Started scanning the sky for raptors. At least 3 Common Buzzards displaying. Found what I initially thought to be one of the resident pale buzzards above Lisset wind-farm, however on higher magnification it clearly wasn’t a pale rumped Common Buzzard but a ring-tail Hen Harrier. Unfortunately it was drifting north-east and was lost to view before RL could connect but while looking for it we had another raptor which was most likely a Goshawk but it too was heading north so we never confirmed the ID. Headed to Watton NR. 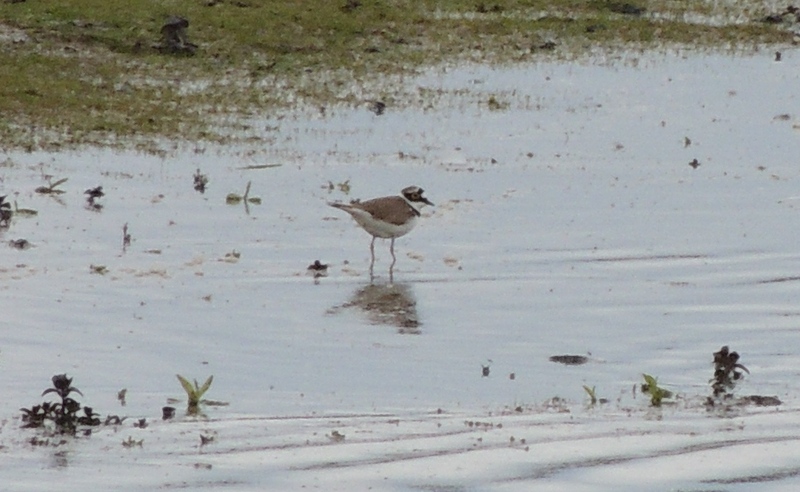 The pair of Garganey hadn’t been seen for a few days but we did have a Little Ringed Plover and Dunlin. 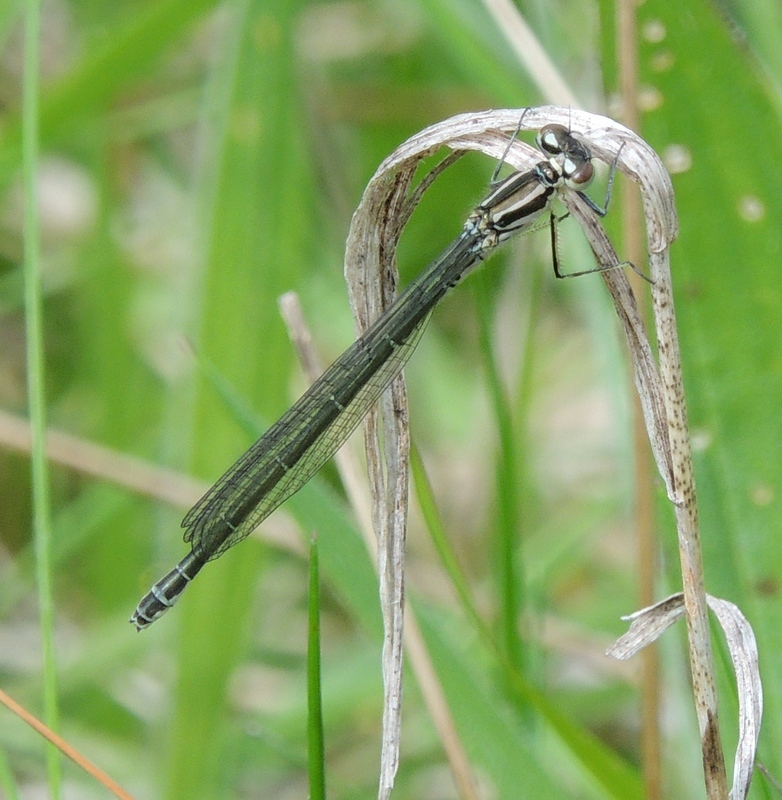 A few damselflies were flying around South Marsh West sump. 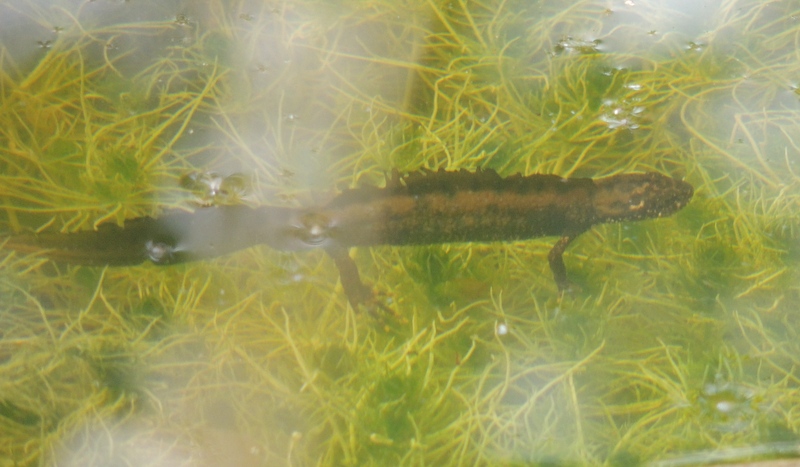 Had 5+ Great Crested Newts showing well in the pond by the path to the back-2-back hides. Next South Marsh West. 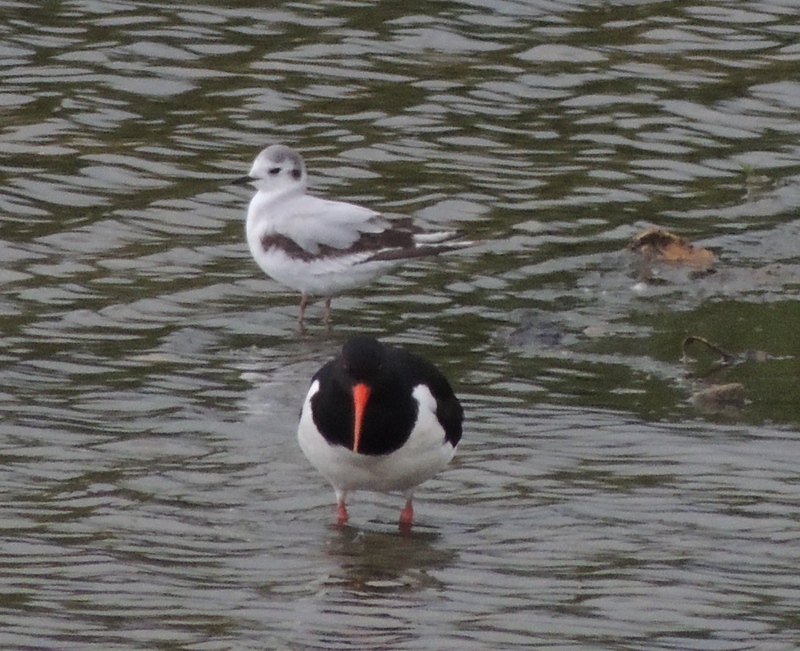 Didn’t hear the Cetti’s Warbler but had 7 Common Terns flying south and 1st summer Little Gull dropped in. 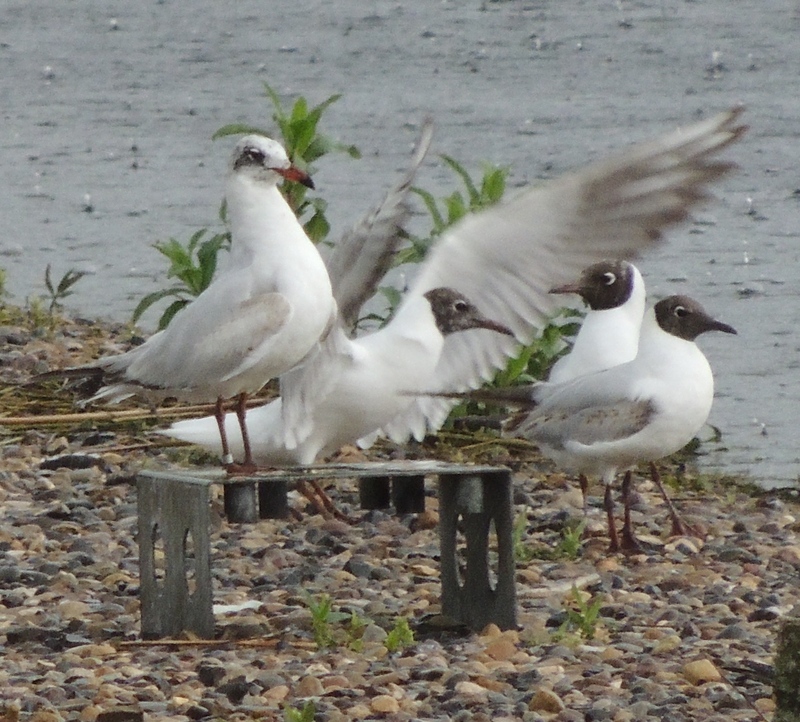 A 1st summer Mediterranean Gull was in the Black-headed Gull colony on South Marsh East. Typical of it’s species it was determined to assert it’s authority over the Blackheads. Wearing a metal ring but too distant to read. Walking back I disturbed a moth by the old centre. 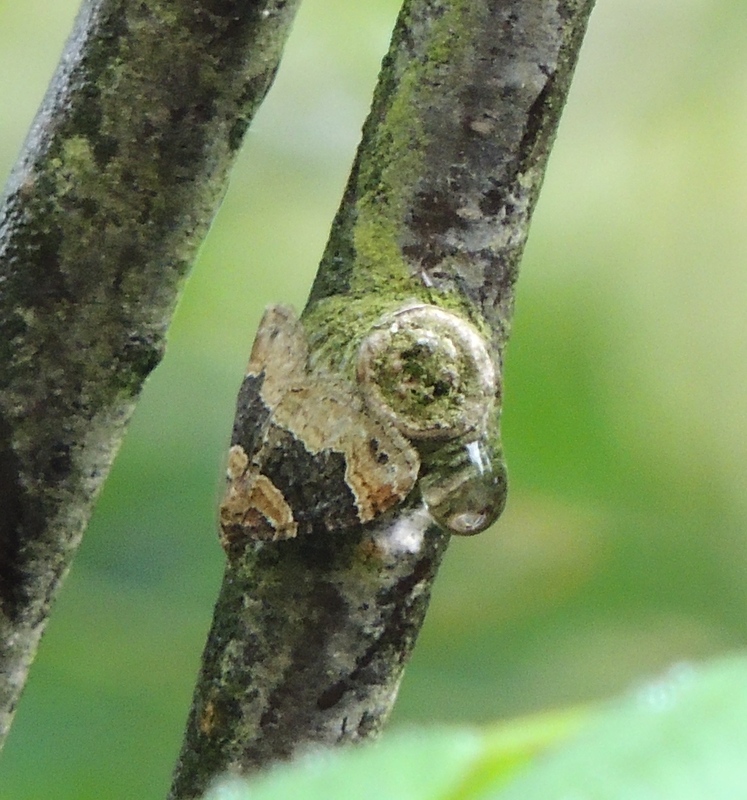 Fortunately it only flew a short way and I was able to locate it on a nearby bush although to the naked eye it just look like a knot or patch of lichen. The heavy rain this afternoon brought 3300 hirundines low over D reservoir consisting of 1600 Swift, 800 Sand Martin, 550 House Martin and 350 Swallow. The Hoopoe that had entertained the crowds over the weekend at the Old Barn north of Beverley wasn’t seen this morning. 2 Avocet flew north-west at Hornsea Mere early morning. Very bad day at works and still out on delivery late afternoon. Had had a text alert but didn’t get round to reading it until I got home. Was from Geoff Dobbs “Hoopoe in Beverley now. Call for details if required”. However the directions followed shortly to The Old Barn at Molescroft Carr farm, along with confirmation from Stu Griffith. Fortunately I was familiar with the site as I used to to work Molescroft/Leconfield Carr. Unfortunately,although I was expecting a call, my bike was off the road. Texted Roy but he was busy. Fortunately not long after Extremotos rang to say the bike was ready. Then it was just a matter of grabbing something to eat, drinking enough coffee to combat extreme exhaustion then walking to Extremotos via the cash point. The final stage was a near disaster when the cash point refused my card. Then literally throw myself through the door of Lloyds as they were about to closed. Good thing I was carrying my helmet and not wearing it or they’d have pressed the bandit alarm. Following a few security questions they handed over the required cash and was on the road within fifteens minutes. At The Old Barn the Hoopoe was showing well at close range on the lawn. A few birders there mostly familiar faces, but not a crowd yet. Fired off several shots then it flew onto a fence where it sat for a few minutes before dropping behind it. Couldn’t be seen the other side of the wall from an upstairs window so after giving it a few minutes went to have a look for it from the adjacent track. There was limited viewing of the adjacent paddock but no sign. However on my the return it was back on the lawn. “Crowd” shot including Steve on the the left. A few more birders were arriving but still not a crowd when I left. Directions:- Birders are welcome after 8am by which time news should be out. From the A1035, Grange Way [the northern Beverley bypass] turn onto Ings Road, signed to the picnic area. You’ll pass a small parking area that my be useful if the visitor parking at The Old Barn, Molescroft farm is full. You’ll shortly pass a pill box. Take the fork to the right and shortly turn into The Old Barn. Park up and the Hoopoe should be on the lawn over the fence. Please don’t go beyond this area and if you leave the site keep to public rights of way. 3+ Turtle Doves currently in bushes on the eastern side of Leconfield DST. 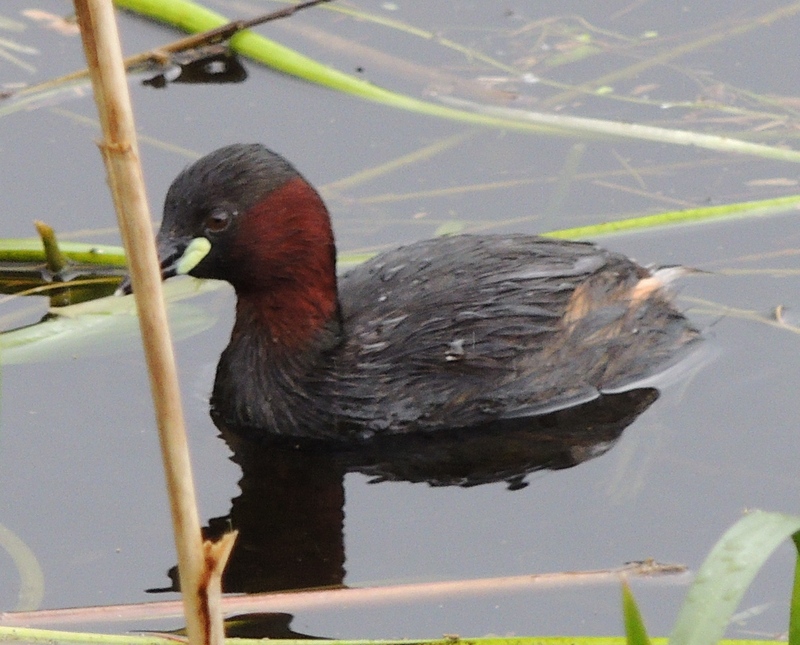 However they are very elusive and best seen early morning in still conditions. This area can be viewed by back tracking to the pill box and taking the track due north to Leconfield Low Parks then continuing north along the railway track. Again don’t leave the footpath particularly at the a MOD site.